St. Nicholas offered an integral study of Buddhism in his work, “Japan from the point of view of Christian mission,” published in 1869. This was the first description of Japanese Buddhism accessible to the Russian language reader. It was clear from this work that the author studied Buddhism quite seriously, but for understandable reasons, limited his sources to those in the Japanese language. 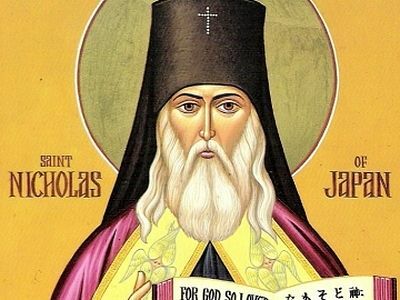 If Archbishop Nilus, who acquainted himself with Buddhism using sources in the Buryat language, saw in it nothing more than just one more of the many forms of paganism, St. Nicholas gives this teaching a much higher evaluation. 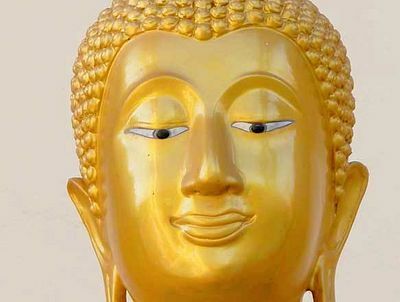 He determines Buddhism as “the best of the pagan religions—a herculean pillar of human effort compiled for itself a religion, guided by those obscure remains of God-revealed truths that had been preserved by the races after the Babylonian dispersion. In his criticism of Zen, St. Nicholas notes that the methodology it supposes cannot be fully carried out and is not applicable to ordinary people. It was known to him that only in a few Buddhist monasteries during the course of a few days out of the year is the zazen practice carried out to it full extent, and the monks often simply fall asleep during the process of meditation. The named motives truly characteristic to the “Lotus sutra”, for example those written in the eighteenth chapter, are that if someone heads for the monastery wishing to hear it, “and will at least momentarily listen, then after that he will be reborn among the gods.” As for its concept of “total salvation”, at the end of the sixth chapter of the sutra it says that “everyone will become a Buddha;” however, judging by the context, they are talking about those who follow the teaching laid out in the “Lotus sutra”, which Buddha uses to draw to his teaching (and, correspondingly, to salvation) those people who were not otherwise interested in it. That episode is in the twenty-first chapter of the “Lotus sutras” and is retold by St. Nicholas almost word for word. After him, Kozhevnikov cited this story as an example of another strange miracle in the Buddhist texts. In another place, St. Nicholas writes that, “in Buddhism, we are at times amazed at the thick prayer books filled with nothing other than praise for the titles of these very prayer books”. It is true—most of the verses of the “Lotus Sutras” contain praise directed at the book itself. Besides the appellation to the texts, the founders and followers of various schools, as the holy hierarch states, actively cite various visions and miracles, about which he notes: “It is impossible to recount all the contrived miracles, dreams, songs, and gods. All the sects step all over each other to show off their miracles, one more strange than the next, one more fantastical than the other. Their brashness reaches such extremes that they point to miracles, where anyone can see with his own eyes that there is no miracle… The bonza have become so used to fantasies and deceptions that they spread them around even where there is no need for them. I read one “life” of the Buddha in which the author piously claims that Buddha’s mother’s dowry contained, by the way, seven full cartloads of “Dutch rarities”, and when she conceived the Buddha another of the king’s wives desired out of jealousy to kill the child in her, and so turned to one of the Christians, who, as everyone knows, are all sorcerers, for help in casting a spell against her rival. To be continued: Observations on Buddhist missionary work. All sources are in Russian unless otherwise indicated. Cited from A. Chekh, Nicholas-Do (St. Petersburg, 2001), 23. 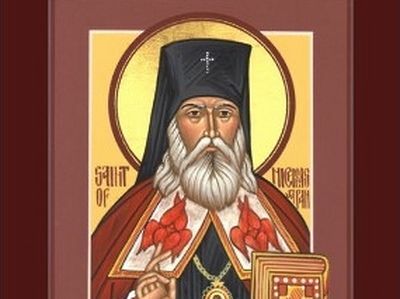 Holy Hierarch Nicholas (Kasatkin), “Japan from the point of view of Christian Mission”, Selected scholarly works by St. Nicholas, Archbishop of Japan (Moscow, 2006), 44. E. A. Torchinov, Introduction to Buddhology (St. Petersburg, 2000), 194. St. Nicholas (Kasatkin), Japan from the point of view of Christian mission, 51. Nitiren-siu, currently one of the most widespread schools in Japan. “The Sutra of the lotus flower of wondrous dharma” is cited [in Russian] from the translation by A. N. Ignatovich, from the Japanese publication. [The English translation is from the Russian used here.—O.C.]. 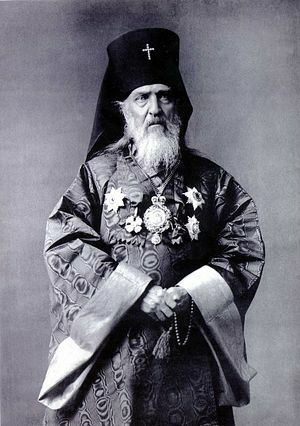 St. Nicholas Kasatkin, Japan from the point of view of Christian mission, 53. See Saddharma-Pundarîka or, The Lotus of The True Law, Translated by H. Kern, Sacred Books of the East. Vol. XXI. (Cambridge, 1884), 364-365. St. Nicholas of Japan, Japan from the point of view of Christian mission, 45. St. Nicholas of Japan, “Japan and Russia”, Selected scholarly works of St. Nicholas, Archbishop of Japanm 154-171. It is unfortunate that there is widespread confusion, not to mention delusion, in the inexperienced, whereby the Jesus Prayer is thought to be equivalent to yoga in Buddhism, or 'transcendental meditation', and other such Eastern exotica. Any similarity, however, is mostly external, and any inner convergence does not rise beyond the natural 'anatomy' of the human soul.